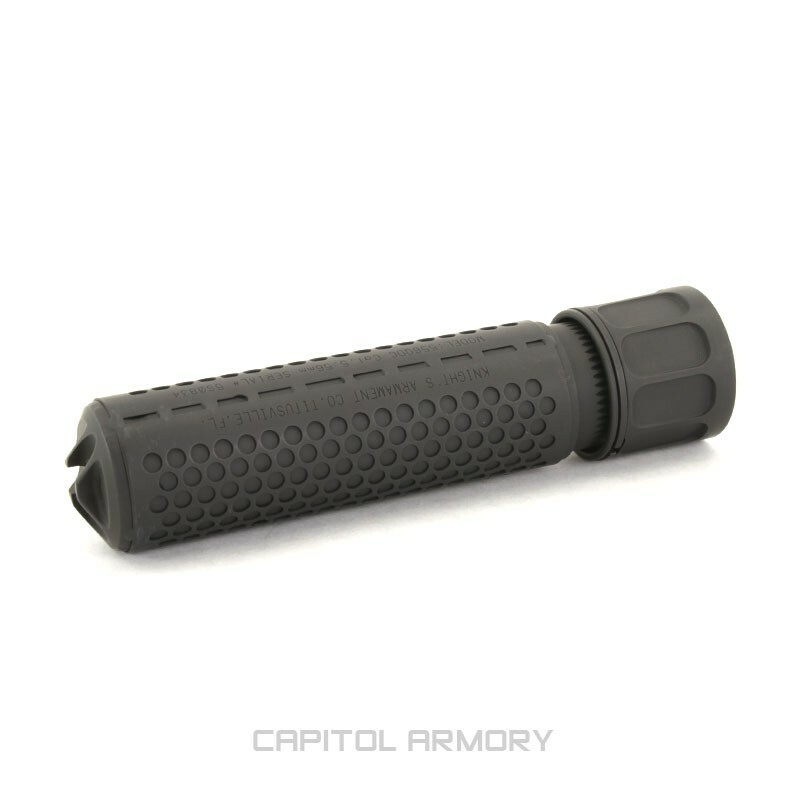 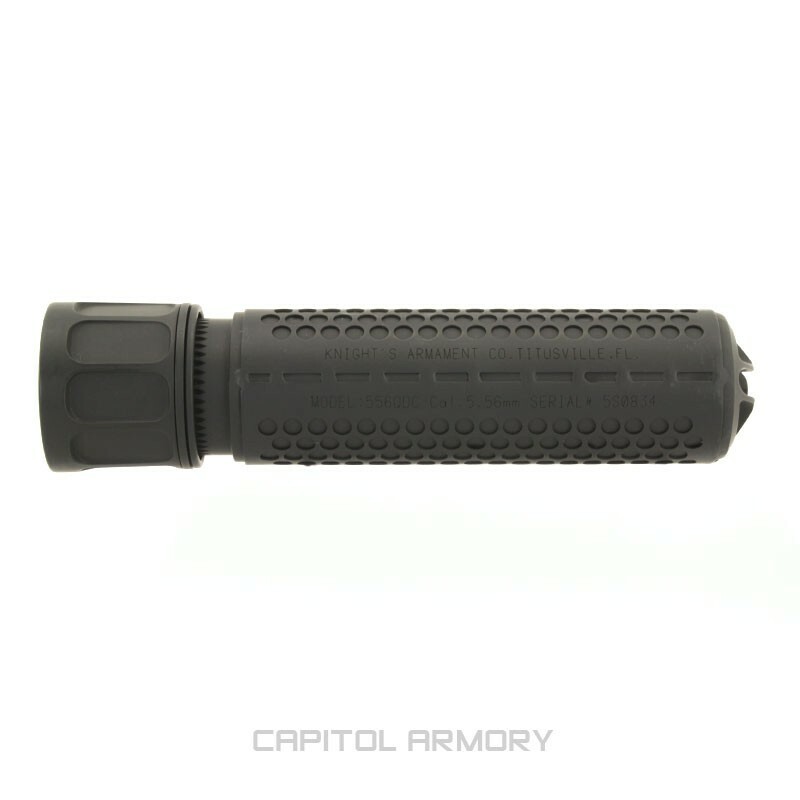 The Knights Armament 5.56 QDC (Quick Disconnect Coupling) suppressor provides both effective flash and sound suppression, with minimal backpressure. 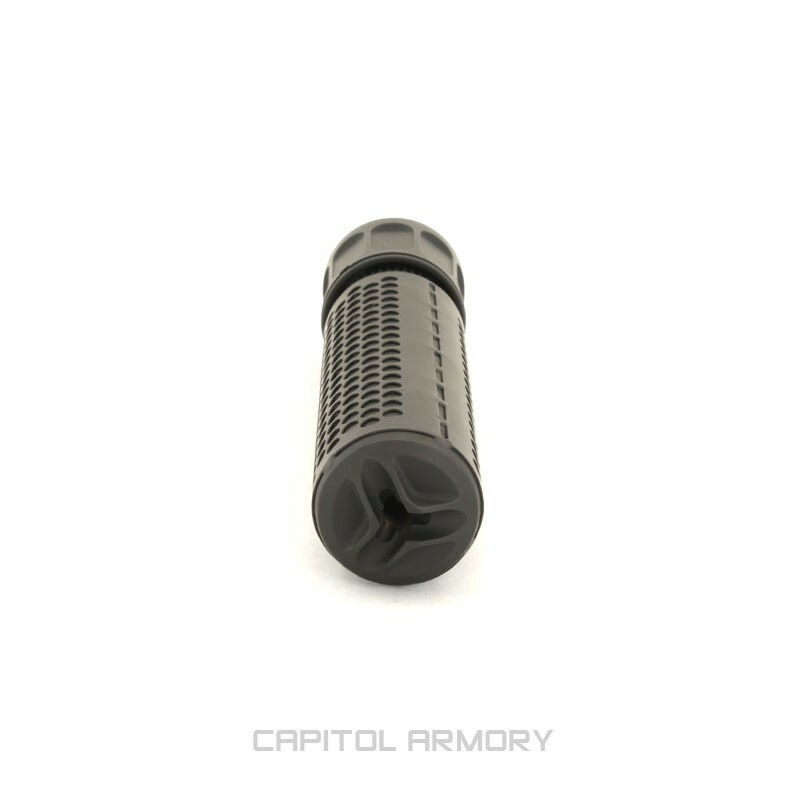 The KAC QDC features a consistent and minimal point of impact shift, removing any need to re-zero the rifle between mounting and unmounting. 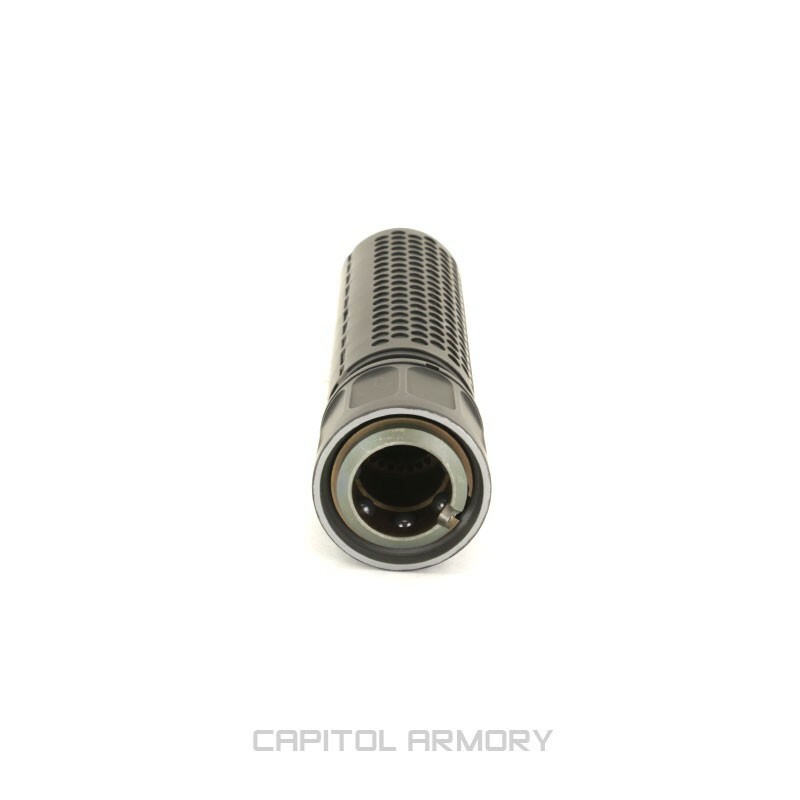 Inconel and stainless steel construction allows the Knights 5.56 QDC to be durable enough for full-auto fire and prolonged use on short barrel rifles. 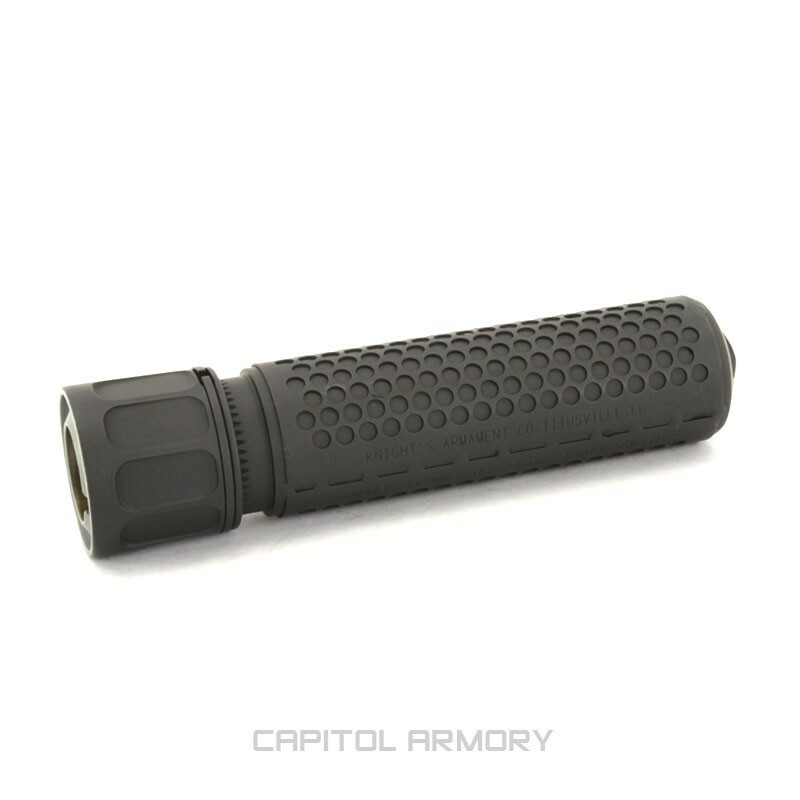 Knight's suppressors are available in black and flat dark earth (FDE) cerakote colors.